Secret recipes blend vibrant flavours. Historic illusion casts mystery and intrigue. 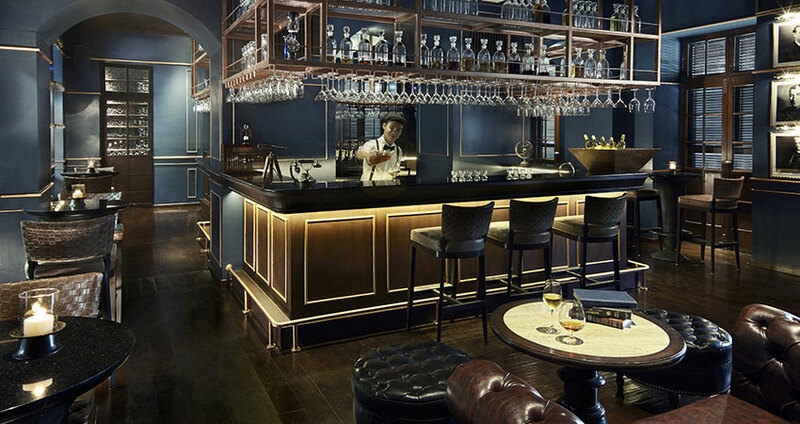 Hidden behind the wooden door is one of the leading Chiang Mai restaurants, which was once the British Consulate; the consulate house reimagines this splendid era with an eccentric British intelligence concept. Spy on good company at the bar – pairing inventive concoctions by our Resident Mixologist with gourmet Asian and Latin bites. Ascend to the upper vintage salons and river view terrace for surreal dining –savouring a choice of modern Thai, Chinese-Szechuanese and Vietnamese cuisines. Behind a secret bookshelf door, the private dining room reveals the element of surprise. The wine cellar provides a connoisseur haven for wine tasting journeys or an intimate dinner. 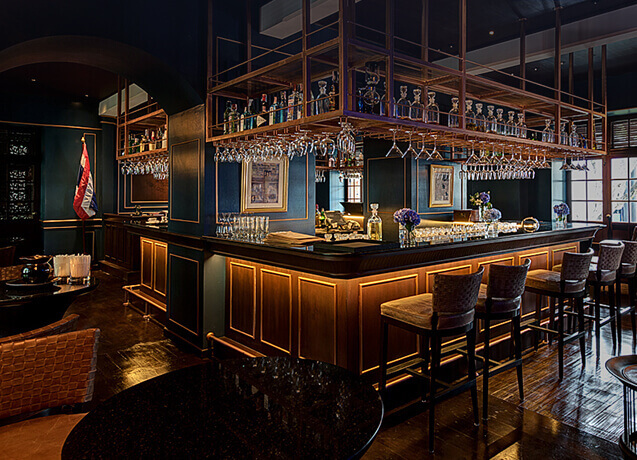 Our private whiskey room pours the finest single malts. Cuban cigars are presented by the Cigar Aficionado. Anantara’s famous afternoon tea charms on the veranda, overlooking manicured riverside gardens. “We ended up here a bit by accident -- the restaurant was a block from our hotel, and on a rainy night, we didn't want to go very far, so we took our chances and headed over.” read more..
“We had been in Chiang mai for holidays, what a beautiful restaurant is the Service at Anantara hotel! WOW!! everything was perfect, the food, the service, the old british consulate and they theme about it... highly recommended!” read more..